Ephemeral aquatic habitats and their associated microbial communities (microbiomes) play important roles in the growth and development of numerous aquatic insects, including mosquitoes (Diptera). Biological control agents, such as Bacillus thuringiensis israelensis (Bti) or insect growth regulators (e.g., methoprene), are commonly used to control mosquitoes in these habitats. However, it is unknown how commonly used control compounds affect the mosquito internal microbiome and potentially alter their life history traits. The objectives of this study were threefold: characterize the internal microbiota of Aedes larvae (Culicidae) in ephemeral forested mosquito habitat using high-throughput amplicon based sequencing, assess how mosquito control treatments affect the internal microbial communities of larval mosquitoes, and determine if changes to the microbiome resulted from direct or indirect treatment effects. The larval microbiome varied in community composition and diversity with development stage and treatment, suggesting potential effects of control compounds on insect microbial ecology. 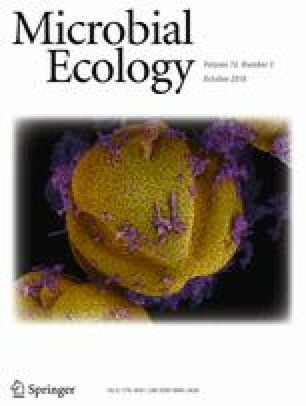 While microbial community differences due to Bti treatment were a result of indirect effects on larval development, methoprene had significant impacts on bacterial and algal taxa that could not be explained by indirect treatment effects. These results provide new information on the interactions between pesticide treatments and insect microbial communities. The online version of this article ( https://doi.org/10.1007/s00248-018-1175-3) contains supplementary material, which is available to authorized users. We would like to thank Matthew Silva, Greg Vaccarino, Frank Herr, Ryan Walker, and Jon Rutt for assistance in the field; Courtney Weatherbee for assistance with DNA extraction; and Chris Hardy, Brent Horton, and Sepi Yalda, who served on JRs thesis committee. Funding support for this project was provided by Hunterdon County Vector Control Program (HCVCP) black fly grant no. 6032305751, Commonwealth of Pennsylvania University Biologists (CPUB) Student Research Grant, Neimeyer-Hodgson Student Research Grant, Noonan Endowment award, and William Yurkiewicz Fellowship. We also thank the College of Agriculture and Natural Resources (Department of Entomology) and the College of Osteopathic Medicine (Department of Osteopathic Medical Specialties) for funding this work (MEB).